Enter the promo code ES36 in the “Apply Discount Code” section of the reservation form, then click “Apply Discount” and then click the “Add” button to proceed. 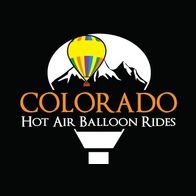 Enjoy an amazing hot air ballooning experience at our lowest price of the season. The Early Season Sale is valid for any date during our 2017 flight season that runs from May 13th – October 8th. You must enter the promo code ES36 during the reservation process to receive the $36 off per person discount. This promo code may not be used in conjunction with any other discount offer.